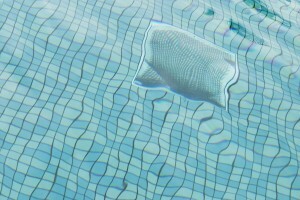 Is your pool lining giving you trouble? It may be time for pool repairs to restore the beauty and benefits of your Maryland pool. While pools are not one of the most DIY friendly parts of any home, it is useful for every pool owner to know the basics when it comes to pool repair. Being able to effectively diagnose pool problems and know your way around pool maintenance tactics can prove truly invaluable when making sure that your pool is primed for summer fun. Read on to learn more about the most common pool repairs in Maryland. These are perhaps the most common of required pool repairs. The pump motor is amongst the most complex of pool machinery and has the most moving parts, so it only makes sense that it would be the source of some of the most common pool maintenance requirements. A pump motor functioning less than optimally can actually negatively affect the water that runs through an entire pool, as the water will not be heated, circulated, or filtered properly without it. The pool’s lining is what keeps its water inside of it, so it is important to care for it with regular pool maintenance. Small tears can be patched up if caught early, but large ones require for the entire lining to be replaced. Having an expert inspect it regularly will prevent large tears and expensive pool repairs, allowing you to get the most out of your pool. Generally changing the filter regularly is all you will have to do to avoid pool repairs relating to your filter. If your filter is working less than optimally, changing the cartridge or cleaning the filter should do the trick. If this regular pool maintenance does not fix your filter problems, it is definitely time to call in an expert. Sunrise Premiere Pool Builders LLC not only conducts Maryland spa, hot tub, and pool installations and renovations but also provides pool services, chemicals, salt generating systems, and more. If you have any questions about your pool or want to schedule a site visit to get your pool project on the move, contact the professionals at Sunrise Premiere Pool Builders LLC by calling 410-349-3852 or clicking here today! Check us out on Facebook, Twitter, Google+, Pinterest, and LinkedIn to keep up on our latest spas, custom pools, maintenance accessories and stay knowledgeable of the latest trends in the custom pool and spa industry. We are here to help you live in luxury at a price you can afford. This entry was posted on Friday, April 8th, 2016 at 3:10 am. Both comments and pings are currently closed.